This elegant western estate is a place to gather and celebrate life, history and community. We offer elegant indoor and outdoor settings for a once-in-a-lifetime event. Choose the perfect venue for your wedding, celebration, holiday party, corporate function or business meeting. Discover spacious landscaped grounds, expansive vistas, picturesque architectural details and a deep connection to our western heritage. Open to the public for tours, community events and educational programs. The historic Mansion has been home to some of Denver’s more notable families including cattle barons, oil tycoons, prominent Denver socialites, as well as political and business leaders who have helped create the Colorado we know today. Once part of a vast ranching empire in Colorado, the Mansion is located within the future 250-acre Highlands Ranch Historic Park. The Mansion is surrounded by a working ranch, historic barns, a bunkhouse, ranch houses, corrals, pastures and the iconic windmill. The current park is approximately 50 acres and includes the Mansion grounds. 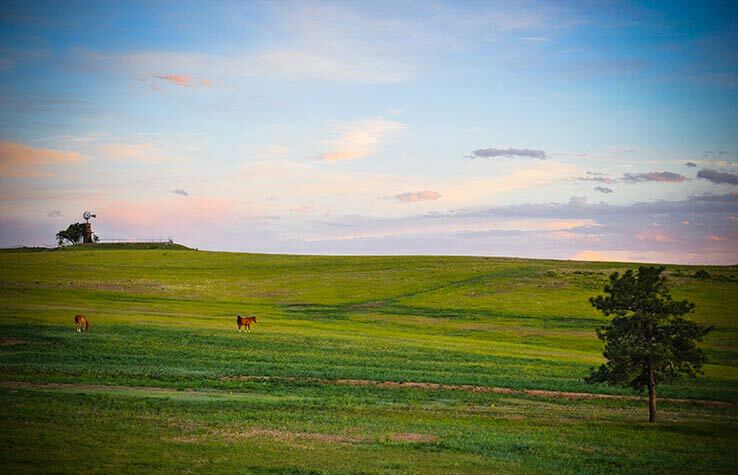 Approximately 1.4 miles of soft surface trails provide panoramic views and are part of the Highlands Ranch Metro District’s extensive trail system. We loved having our wedding at the Highlands Ranch Mansion! It was truly a fairy tale like setting. There was lots of room for everything we needed - getting ready in the large bedrooms, having a beautiful outdoor ceremony on the grounds, enjoying an indoor reception in the Great Hall, and setting up yard games for our guests on the back lawns. The staff was fantastic to work with and truly went the extra mile for us. It was lovely to get married at a castle and our guests couldn't stop talking about it. It certainly made our photos amazing! Thank you so much for making our wedding dreams come true! We loved every moment of our wedding. All of our guests loved the gorgeous Mansion and the beautiful grounds. We appreciate how wonderfully everything was run and love that we didn’t have to worry about a thing on our special day! Thank you so much for giving us the perfect wedding! We were so touched by your thoughtfulness in making sure everything was set up just right. We especially appreciated your help in ensuring all our guests had access – including our bridal party. The Highlands Ranch Mansion was gorgeous – it was truly our dream wedding! I cannot put into words how happy we were with choosing the mansion for our wedding day. Jaye Dixon was incredible throughout the entire process and always helpful and organized. With 27,000 feet there are so many options for how to use the grounds and make it your own for the day. This venue is GOLD- the intricate details, arched doorways, impeccable decor, enormous front lawn...it's so breathtaking you could skip all wedding decoration and STILL have a stunning ceremony and reception! 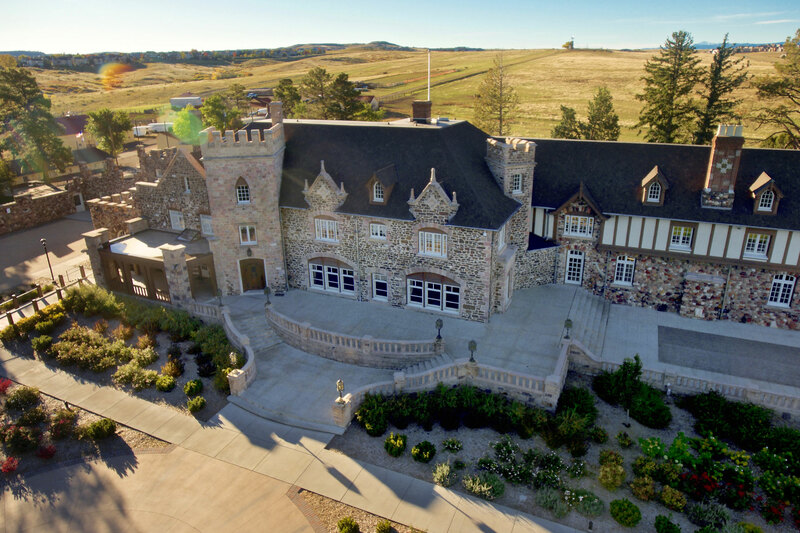 Our guests were blown away that such a magical gem existed right outside Denver and are still talking about what a beautiful place the Mansion is! It was an easy process to plan our wedding here, and we are so glad we did. Highly, highly recommend using the Highlands Ranch Mansion for any event. It was perfect! The Highlands Ranch Mansion was the perfect venue to host our wedding. The Mansion is huge and so versatile for all different types of weddings. Our guests were blown away and we received so many compliments about the venue. The Mansion coordinator, Jaye, was a dream to work with from start to finish as she made the whole planning process easy. We could not have asked for a better venue and would highly recommend the HR Mansion to anyone.